The after-death stories of Franz Joseph Haydn, Ludwig Beethoven, Swedenborg, Sir Thomas Browne and many others have never before been told in such detail and vividness. Fully illustrated with some surprising images, this is a fascinating and authoritative history of ideas carried along on the guilty pleasures of an anthology of real-after-life gothic tales. 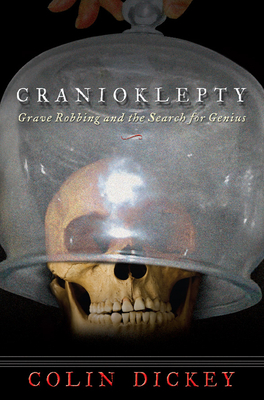 Beginning dramatically with the opening of Haydn's grave in October 1820, cranioklepty takes us on an extraordinary history of a peculiar kind of obsession. The desire to own the skulls of the famous, for study, for sale, for public (and private) display, seems to be instinctual and irresistible in some people. The rise of phrenology at the beginning of the 19th century only fed that fascination with the belief that genius leaves its mark on the very shape of the head.